Deep cleansing action with natural sea salt to help clear and prevent blackheads without over-drying. 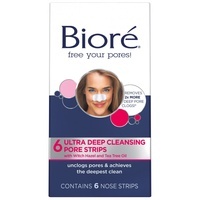 When fighting blackheads, deep cleansing is better. 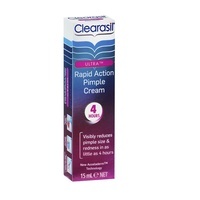 How Clearasil® works with your skin? Gentle exfoliating scrub with natural sea salt deep cleanses the skin, to help clear and prevent blackheads. Also removes dirt, oil and bacteria that can cause breakouts, while lifting always dead skin cells. Contains skin conditioners to help prevent overdrying, helping you to achieve beautifully clear and glowing skin. Aqua, PPG-15 Stearyl Ether, Glycerin, Stearyl Alcohol, Polyethylene, Cetyl Betaine, Distearyldimonium Chloride, Sodium Lauryl Sulfate, Cetyl Alcohol, Maris Sal, Salicylic Acid, Alcohol, Parfum, Steareth 21, Sodium Chloride, Synthetic Wax, Behenyl Alcohol, Steareth-2, Xanthan Gum, Disodium EDTA, Isopropanol, BHT, CI 77019, CI 77510, CI 77891, CI 60730, CI 42090.